Scribner Book Company, 9781501128363, 224pp. "A moving and riveting memoir about one family's love and tragedy...beautifully researched, and expressed" (Anne Lamott). Early one Tuesday morning John Brooks went to his teenage daughter's room. Casey was gone, but she had left a note: The car is parked at the Golden Gate Bridge. I'm sorry. Within hours a security video showed Casey stepping off the bridge. Brooks spent several years after Casey's suicide trying to understand what led his seventeen-year-old daughter to take her life. He examines Casey's journey from her abandonment at birth in Poland, to the orphanage where she lived for her first fourteen months, to her adoption and life with John and his wife, Erika, in Northern California. He reads. He talks to Casey's friends, teachers, doctors, therapists, and other parents. He consults adoption experts, researchers, clinicians, attachment therapists, and social workers. In The Girl Behind the Door, Brooks's "desperate search for answers and guilt for not doing the right thing without knowing what it was reveals the utter helplessness of suicide survivors" (Kirkus Reviews). Ultimately, Brooks comes to realize that Casey probably suffered an attachment disorder from her infancy--an affliction common among children who've been orphaned, neglected, and abused. She might have been helped if someone had recognized this. 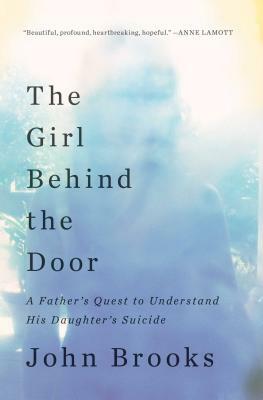 The Girl Behind the Door is an important book for parents, mental health professionals, and teens: "Rarely have the subjects of suicide, adoption, adolescence, and parenting been explored so openly and honestly" (John Bateson, Former Executive Director, Contra Costa County Crisis Center, and author of The Final Leap: Suicide on the Golden Gate Bridge).